If you would like to receive announcements of new features on our motorscooter site, new developments in motorscooters, or particularly excellent motorscooter oportunities, please sign up for our mailing list. We use our list only to send valuable motorscooter information. Tell us about your interest in motorscooters. What scooter do you own or are you considering? (please edit as appropriate) I own a ___________________ scooter, which I bought from _____________________ and I would/would not recommend it. We do not sell our mailing list and do not send mailings more than once or twice a month. 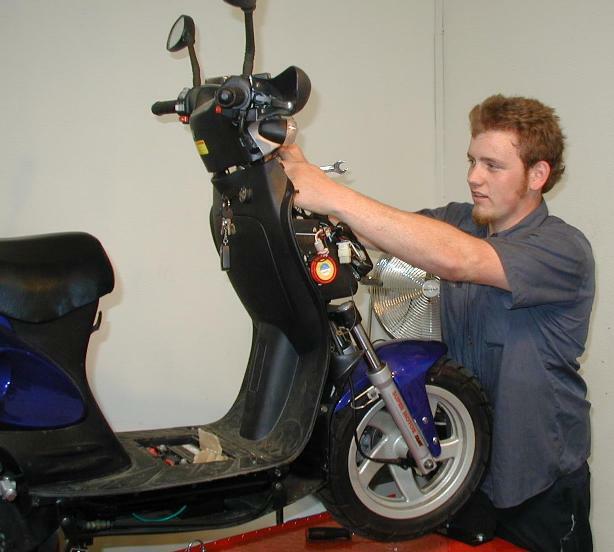 To share experiences with other scooterists, be sure to visit our Motorscooter Discussion Forum.